I've often wondered why 1960 brought no less than three major competitors to the field and I think the answer actually can be traced to 1959 when Fleer introduced an 80 card set featuring Ted Williams. Perhaps thinking baseball's imminent expansions were going to provide a truly national marketing opportunity, Leaf Candy of Chicago came out with a set of 144 current major leaguers in 1960; the first national retail competition to Topps since 1955. 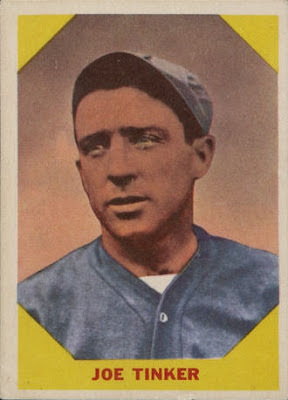 In addition a company called Nu-card issued a 72 card set of Baseball Hi-Lites and Fleer followed up their Splendid Splinter set with a 79 card issue featuring old time players called Baseball Greats. Leaf's set was the most ambitious. 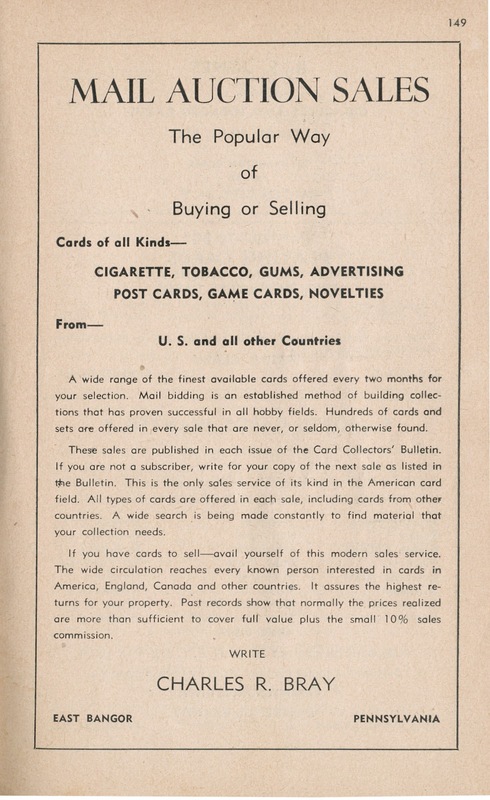 The company had provided some competition to Bowman in 1948 and '49 with a small handful of sets but opted out of the confectionery-paired card business for the 50's instead issuing boxed decks of cards known as Card-o's. 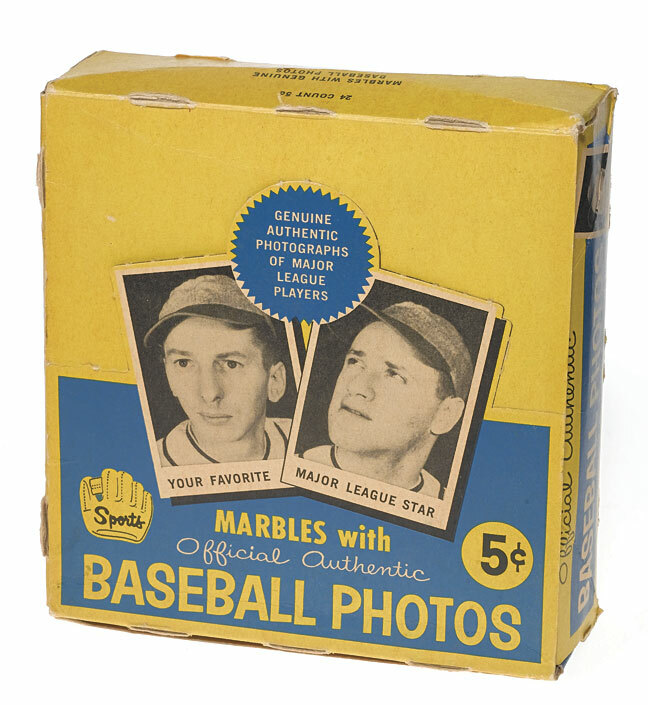 The manufacturer in 1960 was listed as Sports Novelties Inc. of Chicago (Leaf's hometown) and the set was advertised not as cards but as Baseball Photos. 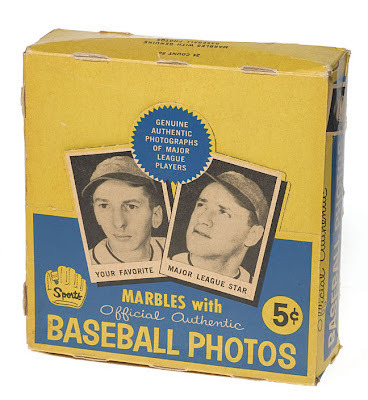 It looks like Leaf took proper legal precautions as I cannot find any references to lawsuits involving them and Topps over the 1960 sets. 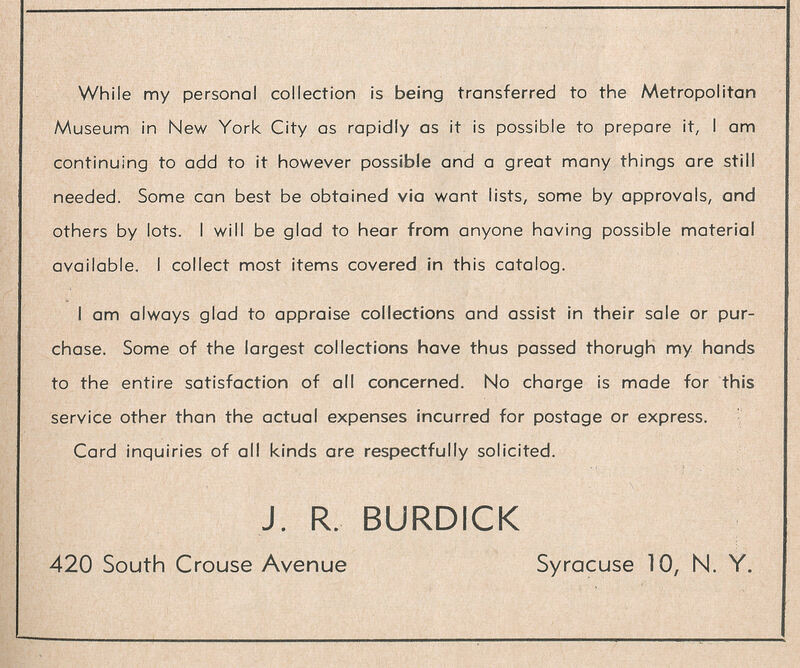 The biggest obstacle looks to have been lack of consumer interest.as the cards had excellent photography. 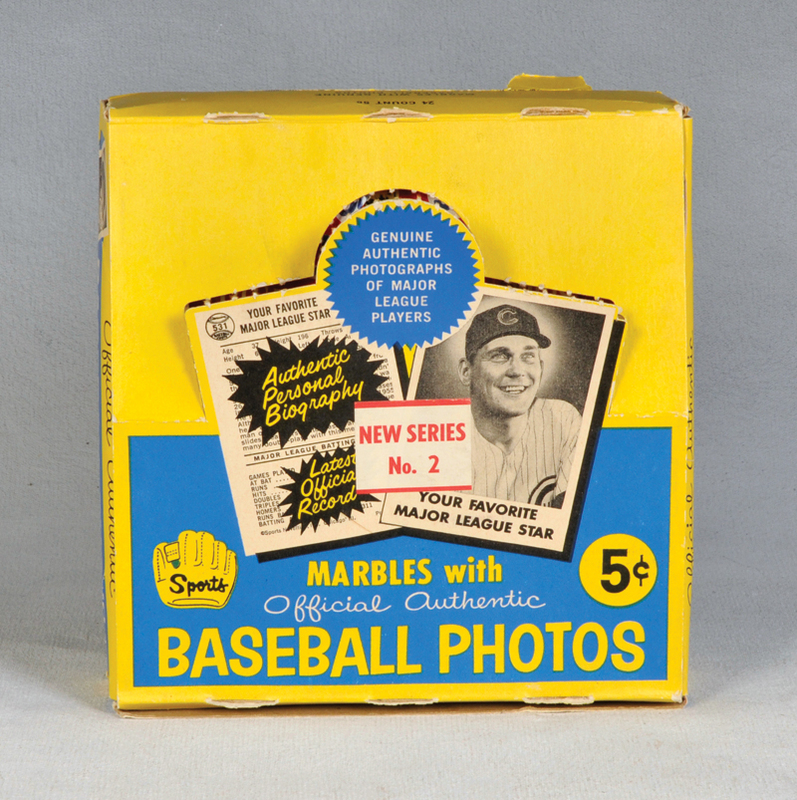 A lack of color photography and superstars (Snider and Aparicio were the biggest names) was not conducive to sales. 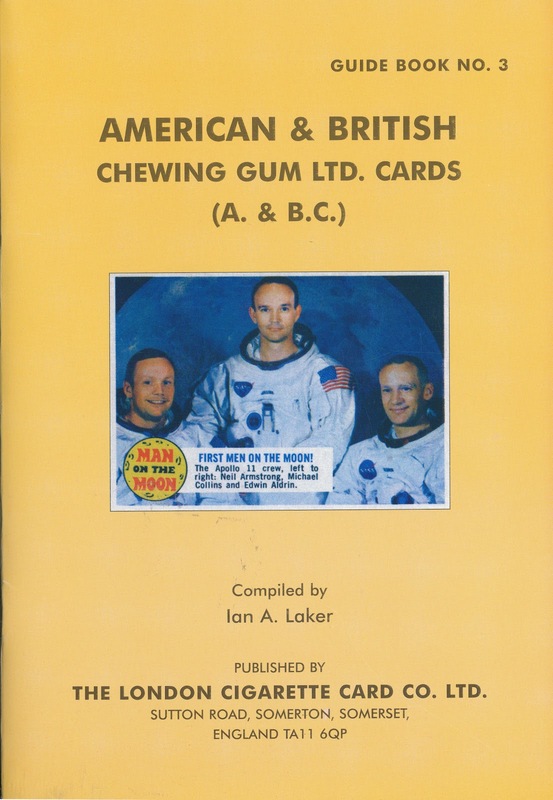 The second series sold poorly by most accounts and a large find in the 1990's served to add a heft supply of these to the hobby, bringing down prices a bit. There is a lot of mystery surrounding #80! There are some variations in this set too but I am not really conversant in them. 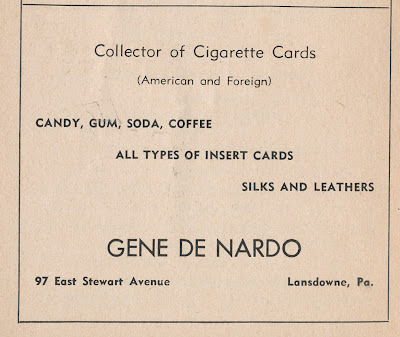 All in all, the competition for Topps in 1960 was a bit lackluster. However, as we'll see next time out, things started picking up in 1961 as Topps fought back a bit. 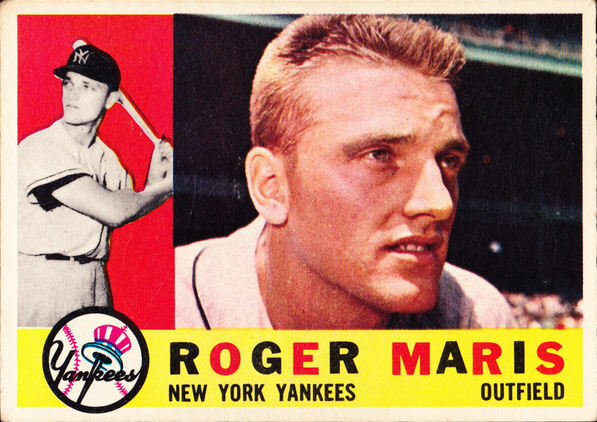 We'll continue with Fleer's 1961-63 issues and take a look at Post and Jello next time as well. I'm not sure if I can squeeze another post in before leaving for The National and we have a highly anticipated family vacation immediately following, so hang tight for a few weeks folks, I'll post as I can over that span! Hof on the heels of our last adventure, I thought I would take a look at two more subjects that spanned 15 years between Topps sets. 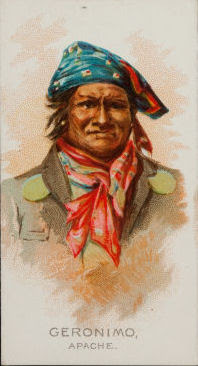 While I can't come up with a subject like Captain Kidd, whose image from an 1888 tobacco set was carried through in multiple instances by Topps well into the Summer of Love, a couple of other subjects were reused between Look 'N' See in 1952 and Who Am I? 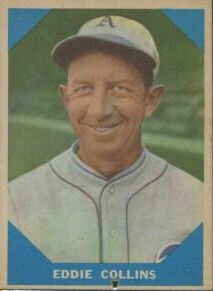 in 1967. That's actually a pretty crude rendition but it shows how the original source was still used by Topps. She certainly fared better than Churchill in '67 as he looks like a hungover Jonathan Winters, no? Hard to believe she is still queen but it's true! 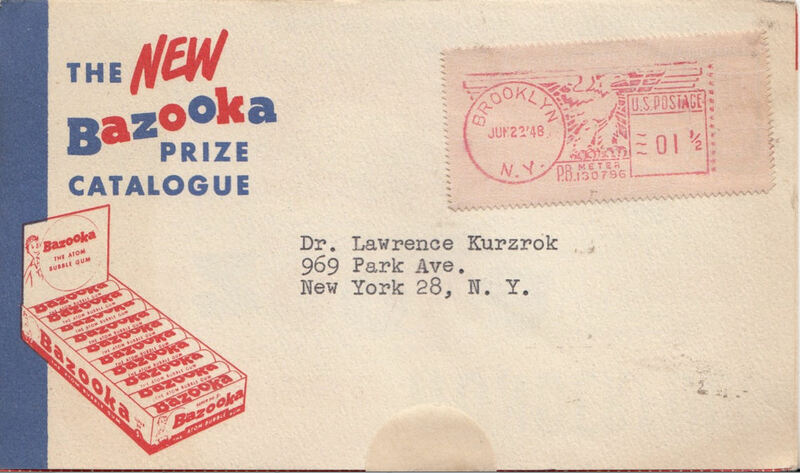 Labels: 1952 Topps Look 'N' See, 1967 Topps Who Am I? 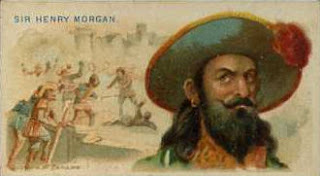 As I was preparing the previous post here at the ol' Archives, concerning the copying of certain 19th Century artwork by Topps, particularly Indian Chiefs and Pirates, I decided not to use Captain Kidd in the comparison. However, as I was looking at the various examples of his cards, I noticed something neat. Wow-it's almost an exact match to the one from '49 but on closer inspection it's redrawn. Those sneaky so-and-so's just copied the Look 'N' See picture-the background is an exact match! 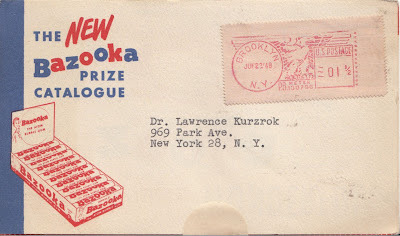 Labels: 1949 Topps X Ray Roundup, 1952 Topps Look 'N' See, 1954 Topps Scoop, 1967 Topps Who Am I? Ahoy! 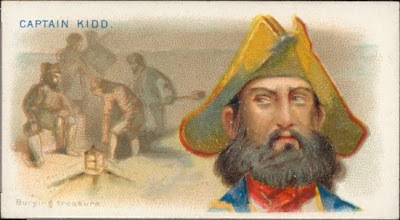 Piracy has been a scourge of the seas for almost as long as there have been sailing ships. Today we think of it in two ways: the traditional one where ships are taken by force by marauders and also as theft in the digital domain. Topps certainly understood the principle as it blatantly copied images from 19th Century sets issued by Allen & Ginter in 1949's X-Ray Roundup. Pretty blatant methinks! Of the 50 Pirate cards in N19, it looks like most, if not all 45 of the Pirates in X-Ray Roundup were copied by Topps (I haven't checked them all but plan to). The images had probably seen their copyrights lapse, so this was not some huge artwork ripoff but it was a great way for Topps to come up with cheap source material. 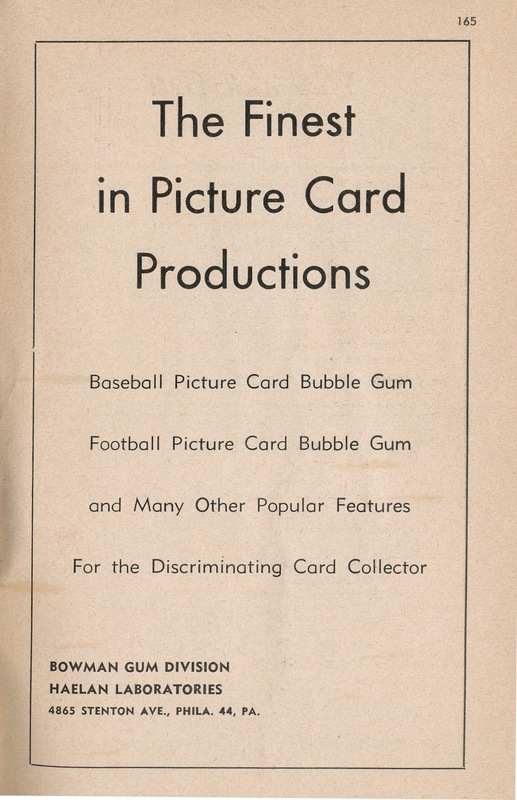 Bowman would do the same thing in a couple of sets after this and the 1930's were filled with actual cases of image piracy, especially among strip card Manufacturers. With Woody and Topps doing it, it almost seems Arrghhhhhhh-tistic! 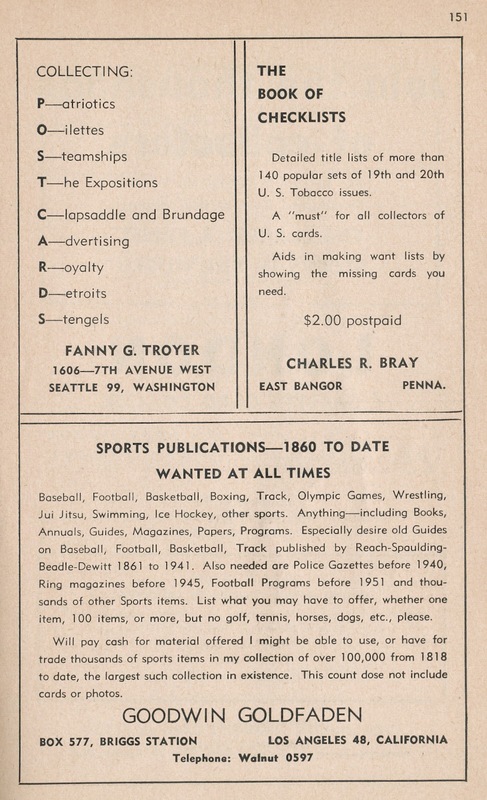 This will be a final look at the 1953 American Card Catalog's advertising section, previously discussed here and here. 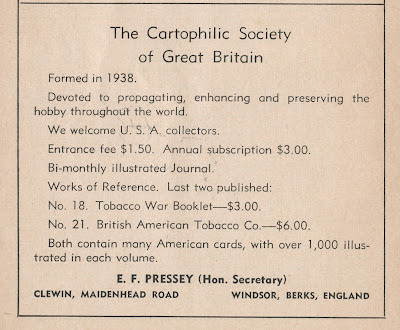 Today we are traveling to Merry Olde England, where the hobby of collecting "cigarette cards" was a bit more established (and respectable) than in the Colonies. That is the 3rd (and latest) edition from 2004. You can still order it, along with many other reference works, from LCCC if you are so inclined. A&BC cards have been discussed here a couple of times and will be looked at again in more depth sometime soon. 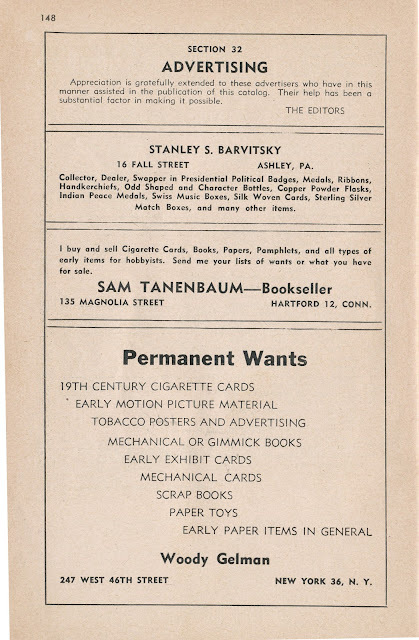 I've left the Edward Morrill ad in this image as it helps show the wide range of paper goods being looked for by advertisers in the ACC. 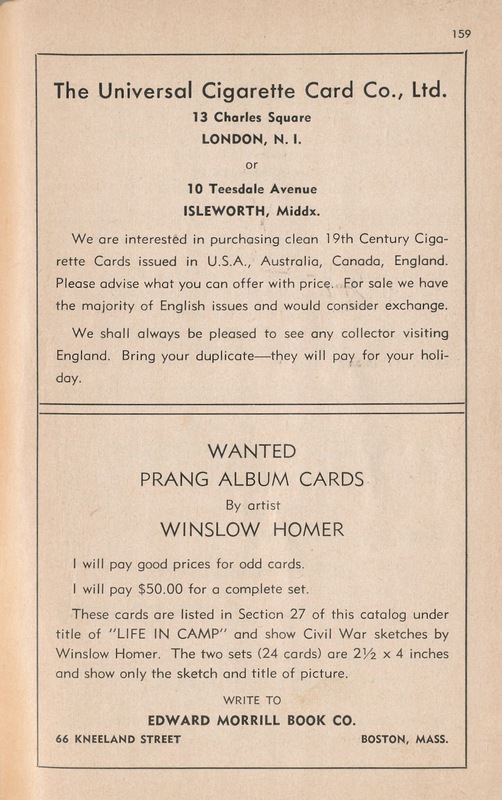 Those Prang Album cards by Winslow Homer are quite famous and still coveted today. 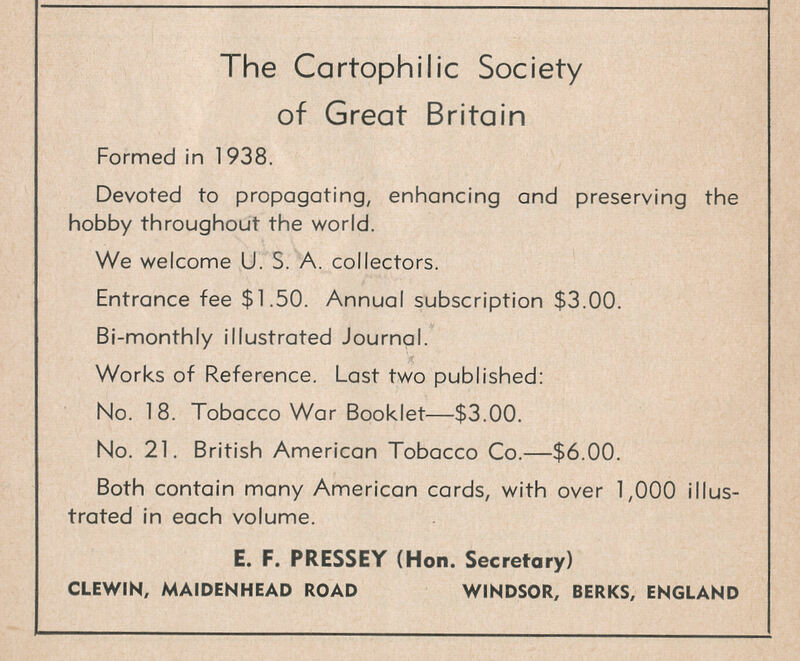 The Cartophilic Society of Great Britain is still with us as well, still producing guidebooks and offering a lending library of reference books to members. 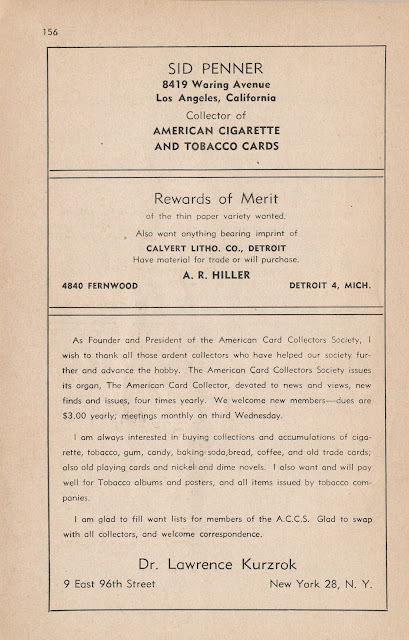 The hobbyists who advertised in the 1953 ACC were persevering sorts who had developed a system of trust since all trading was done though the mail and often with people you had never met. It could take weeks, if not months, for cards to arrive on one side of the Atlantic Ocean from the other. While today we have almost instantaneous transactions and cards can be sent halfway around the world in two days, the trust level is quite a bit lower and we are all the worse off. 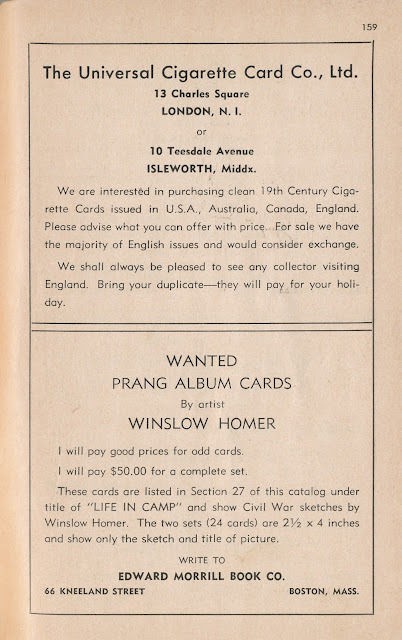 As promised in our last adventure, here are a few more ads from the 1953 American Card Catalog, featuring some very prominent collectors of the day. We'll feature US collectors today, British one next time out. 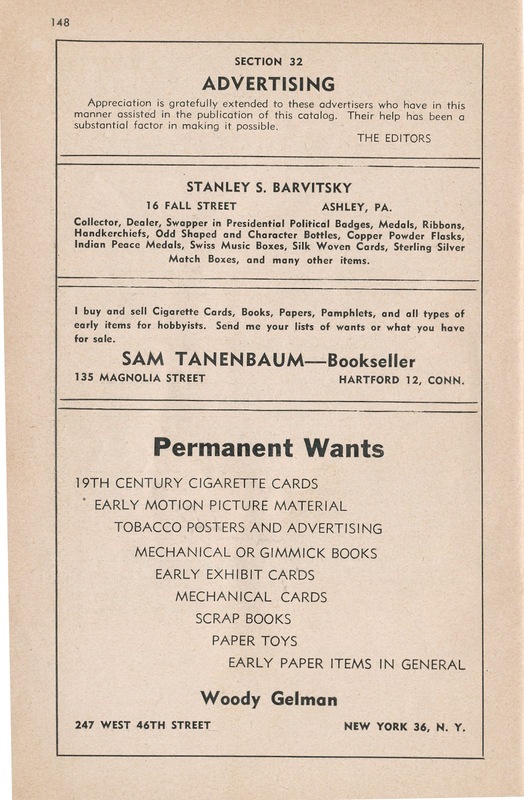 Almost all of the buying and selling in 1953 was done by mail-there is only one ad with a phone number listed! 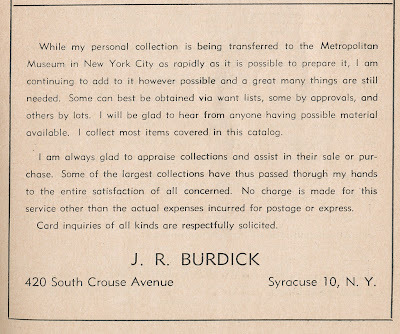 Most, if not all, vintage collectors have run across the American Card Catalog as they assemble sets and compile wantlists. Jefferson Burdick's masterwork saw four major editions, the last of which came out in 1960 which is the one most familiar to almost all current collectors. 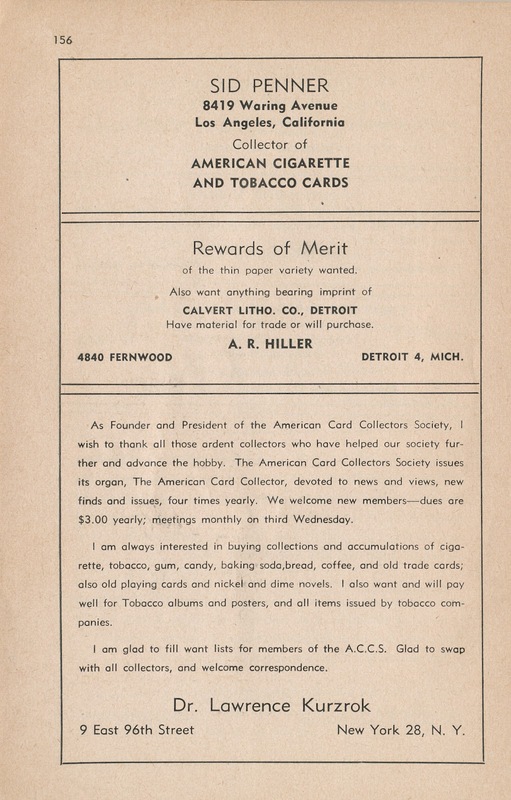 It's the ACC that gave us descriptions such as T-206, R414-1 and C46, although most collectors do not use such nomenclature anymore for issues that came out in 1933 or later. 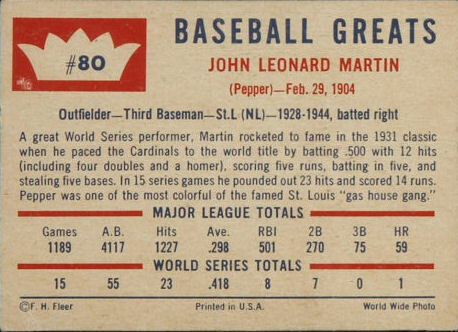 Back when almost all hobby information was done via the U.S. Mail though, such numbering schemes were quite helpful. This is not intended to be a brief history of the ACC; there are a couple out there already (one is mine in The Wrapper #262 and Geroge Vrechek has written extensively on Burdick and the ACC over in the Library section at www.oldbaseball.com ) and a major one is in the works from what I know if it. 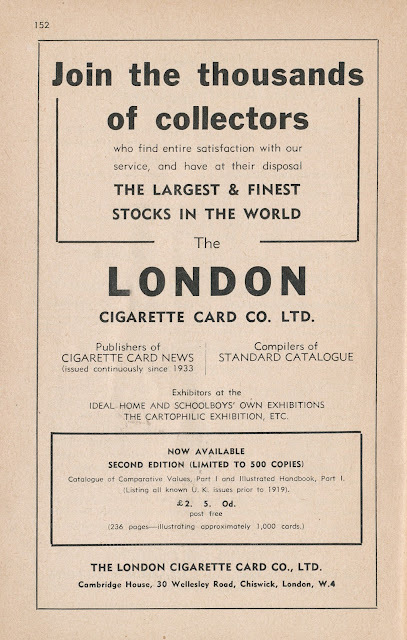 Rather I want to look at one editor and two ads in the 1953 edition. You can see details of the full releases of the multi-series Wings, Look 'N' See and Fighting Marines (thought by some to be a '53 issue) sets. 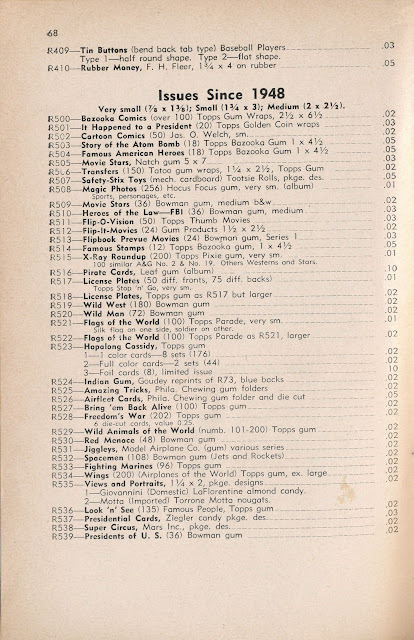 It is also obvious the numbering scheme used in 1953 changed by the time the 1960 edition was released and the latter is what has been "locked" into collector's minds. Wings, shown above as R534, is known today as R707-4 while Look 'N' See, above as R536, is now R714-16. 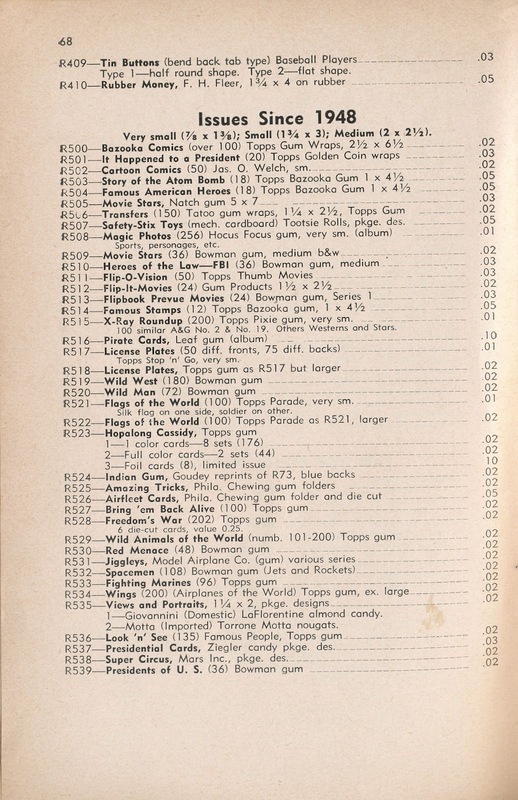 I am fairly certain these sets in this section were shown in their order of release (or as close as possible for the time) as compiled by Gene DeNardo. 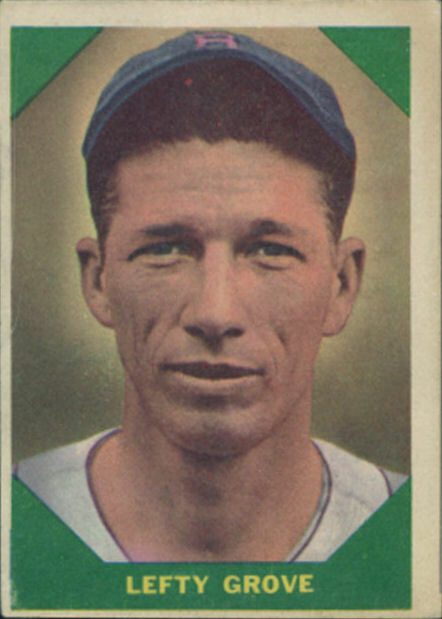 Warren Bowman had been gone over 18 months by the time the '53 ACC was published and I suspect he would have come up with something a little splashier had he still been around. That ad just reeks of corporate stuffiness. That street address for Woody is the office of Solomon and Gelman at the time. 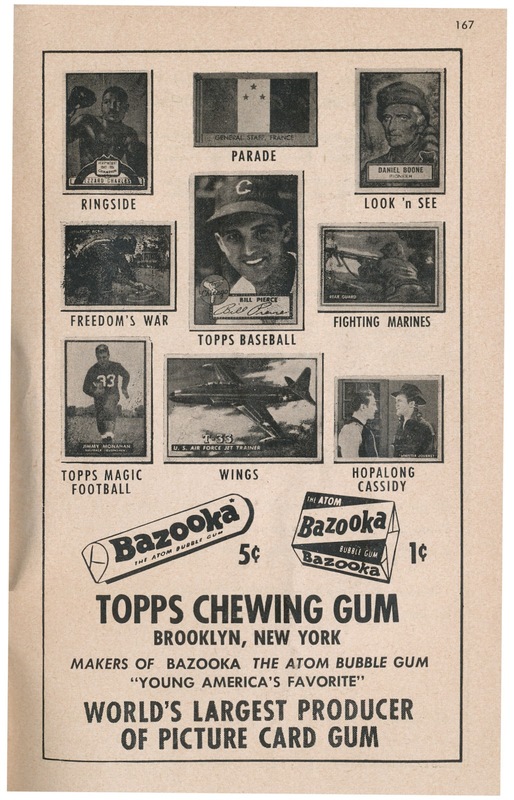 S&G was an art service that did a lot, if not all, of the illustration work and design for Topps commencing about 1949 and Ben Solomon would eventually end up as the Art Director at Topps in the 60's and 70's with final say over all released printed product. Woody seems to have come in-house at Topps while still working as a partner at S&G until at least 1957; at some point around that time he became a full time Topps employee. 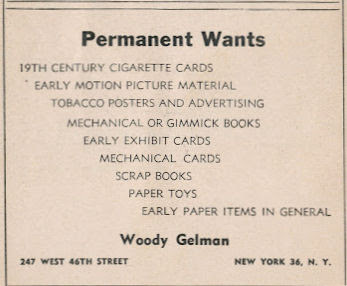 Ben and Woody probably first met at the Fleischer Brothers animation studio in the 1930's and a lot of early Topps employees and artists worked there as well. That is his office address. 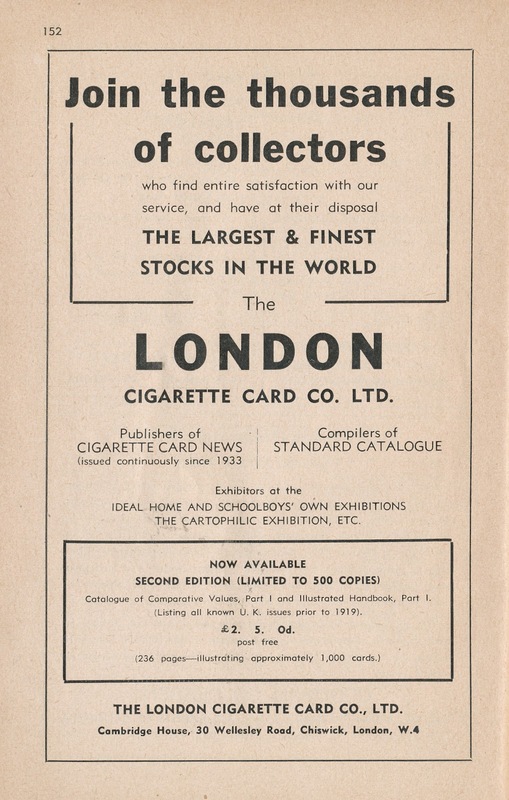 I wonder how many early advertisers used an office address instead of their home one? I'll look at some more advertisers in the '53 ACC next time out, even though they are not really related to Topps, as it's just a fun area of the hobby to explore. Ol' Mel has a stain at the top; perhaps it was caused by contact with the gum? 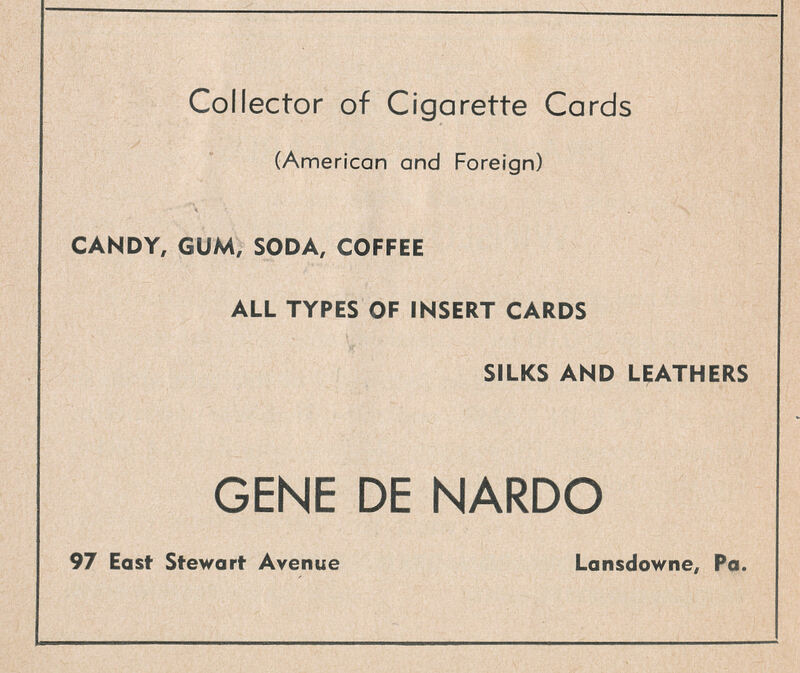 That easel has a very white back considering the toning on the front and matches the purity of the card's back. The pack is missing a card, the ingredients sticker that sealed it on the back and of course, the gum but there's no way to know if the pieces above were once wrapped together.